UPDATE: “LUNA” BACK HOME SAFE AND SOUND. 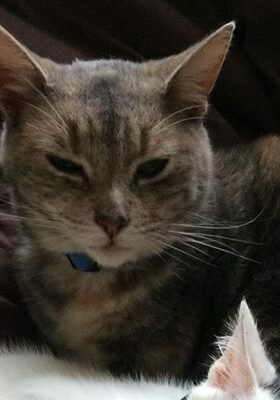 MISSING CAT “LUNA” BALLYWILLIAMROE, BAGENALSTOWN AREA.”Luna” two year old female cat with missing toe on back foot. Missing from the Ballywilliamroe area of Bagenalstown since Friday night November 9th. Please share. Any information please message or phone Kilkenny SPCA @ 056-7771635. Ref: 268423.